Gujarat Rozgaar Samachar (09/05/2018) edition is now available at RIJADEJA.com. Rojgar Samachar is an employment newspaper, published by Gujarat Information Department on every Wednesday. This newspaper is publish in both, printed and online versions. You can view online version of this newspaper by below mentioned link. Note: Gujarat Rozgaaar Quiz is not available from last few months. But you can access previous Rojgar Quiz at below mentioned link. 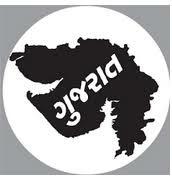 Gujarat Rojgar Quiz is collection of 50 General Knowledge GK MCQ Questions.